Charlotte, N.C. (September 5, 2016) - The traditional Labor Day Championship Racing Association event at Winchester Speedway did not disappoint as many of the nation's top super late model teams took to the historic half-mile race track. After qualifying in the 6th position, and receiving the pole position after the regular CRA redraw, Dalton Sargeant and the #Windows10 Toyota Camry led 72 laps and finished in the 2nd position. "We had a really good Windows 10 Toyota Camry this weekend, everyone at Bond Suss Racing worked extremely hard for this finish and gave me a great car. Winchester is one of those race tracks where it takes a total team effort to succeed at, really tough on driver and equipment. 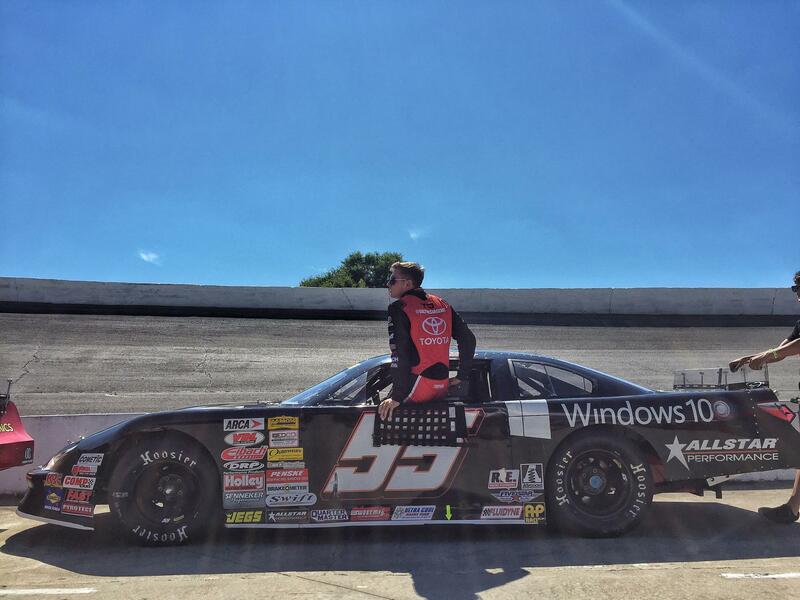 It was good to lead my first ever laps around Winchester in a late model, and it was a really good test for us for the Winchester 400 coming up next month. We weren't perfect and just got beat by a car and driver that was perfect for that 100 laps. Theres a few things we're going to go back to the shop in Charlotte and work on and improve, but extremely encouraging for our return here next month."